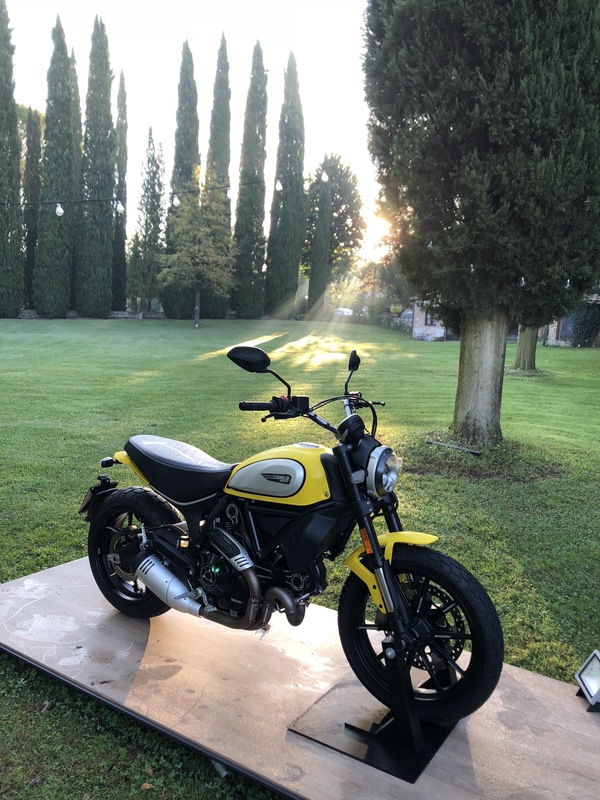 We’re out on the launch of Ducati‘s updated for 2019 Scrambler Icon, just like we mentioned a week or so ago. 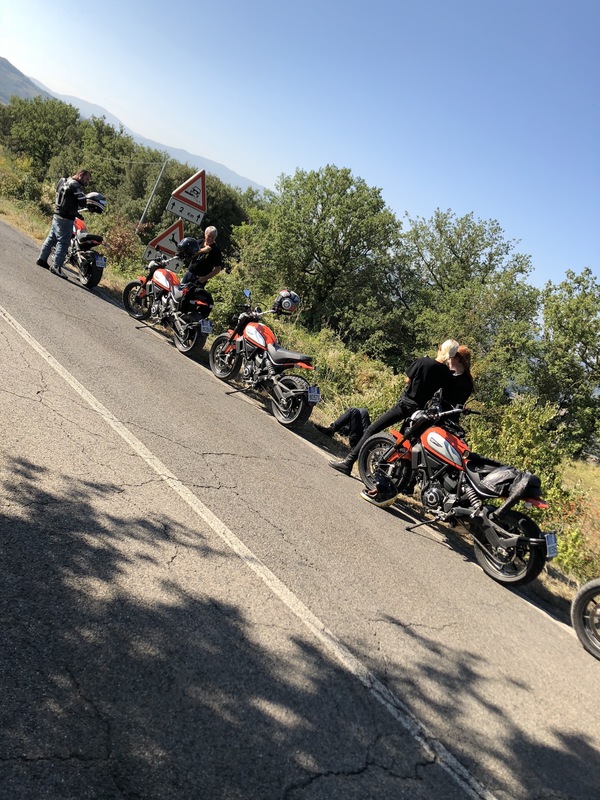 It’s 33 degrees in Siena and it’s a proper case of sweaty backsides, dusty trails, bad tarmac and even worse Italian driving… and riding. So far we’ve ridden about 40 miles into the Tuscany hillside and we’ll already say we’re a fan of the new Icon. The suspension’s plusher and isn’t nearly as unsettled on bad tarmac as the previous gen. Ducati boasted that it had updated the seat and made it more comfy; they weren’t kidding. It’s slightly wider towards the tank, slopes less and is much firmer, does actually makes it nicer to spend time on. Where as you almost sink into the older seat, you sit on the new one. Side by side with the old bike, if you were being super harsh you could say that the old bike looked as if it was built to a budget. The new one doesn’t give that impression at all. The updated switch gear feels much more premium, and all the small detail updates really add up: the design on the exhaust, the black outline on the now-beefier tank panels which give a bit more presence, the updated headlight design and levers that don’t look like they are made from spoons pinched from Grandma’s cutlery drawer. Prices are £8,150 for the yellow colour scheme and £8,250 for the orange/tangerine. We’re off for another 60 miles this afternoon… stay tuned and we’ll tell you a bit more about how it rides.